Now that the elections are past us, we can now turn our attention to legislation that will come before the Congress and our state legislatures. It is encouraging to hear reports of bipartisan support for new investment in infrastructure, and Ports-to-Plains is definitely gearing up to make a strong case for funding for projects to improve our corridor. It is important to note that we did not wait until the day after the election to begin this work. PTP staff and board members have been meeting with lawmakers and transportation officials throughout the year to raise awareness of our projects and priorities. In fact, this is an ongoing effort so that whenever there is an opportunity to improve the Ports-to-Plains Corridor, we are in a position to be successful. Of course you have an important role to play as well. Many legislators are holding meetings in their districts to hear from constituents before the opening of the new legislative sessions and the new Congress in January. 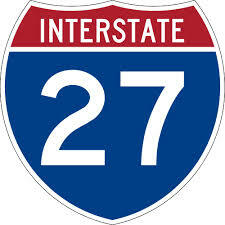 This is a great opportunity for you to let them know that transportation, the Ports-to-Plains Corridor and the extension of Interstate 27 are top priorities for you and your community. I also want to take this opportunity to ask you to indulge me for a personal moment. Earlier this year I was diagnosed with young-onset Parkinson’s disease. Regular exercise is a key factor in managing the symptoms and progression of the disease. So I decided that if a little is good, a lot will probably be better. On December 4 I will be running in the San Antonio Rock ‘n’ Roll Marathon, and in doing so I am raising money for the Michael J. Fox Foundation for Parkinson’s Research. I ask you to please follow this link to find out more about how you can help find a cure for Parkinson’s disease. As site selectors work with businesses to find locations, the availability of adequate highway infrastructure is an important consideration. Recently a completed section of Interstate 69 in Southwest Indiana was identified as critical to the decision of a Japanese automotive supplier to locate to Washington, IN. In his first public remarks after claiming victory, President-elect Donald Trump repeated his campaign pledge to invest heavily in transportation and other infrastructure projects. Trump, in a victory speech he delivered early on Nov. 9, said: "We are going to fix our inner cities and rebuild our highways, bridges, tunnels, airports, schools, hospitals. We're going to rebuild our infrastructure, which will become, by the way, second to none. And we will put millions of our people to work as we rebuild it." Trump made his remarks after opponent Hillary Clinton called him to concede the election, as news agencies showed him winning enough electoral votes to win the contest. During the campaign, Trump said he would pursue an infrastructure investment package in the range of $1 trillion over 10 years, or double the size of the plan offered by rival candidate Hilary Clinton. His plan would reportedly rely heavily on tax credits to spur private investment in transportation projects. Trump's plan will have to win approval from a potentially friendly Congress. The Republican Party retained control of both chambers. His campaign web site, in a position paper on infrastructure, said his administration would "implement a bold, visionary plan for a cost-effective system of roads, bridges, tunnels, airports, railroads, ports and waterways, and pipelines in the proud tradition of President Dwight D. Eisenhower, who championed the interstate highway system." Trump's position document said he would "leverage new revenues and work with financing authorities, public-private partnerships, and other prudent funding opportunities." 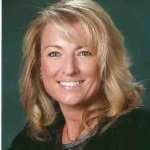 Jenyce Houg is the Chairperson of the Colorado Freight Advisory Council, made up of representatives from the freight industry along with state and local public officials and serves as Regional Vice President of the Celadon Group Inc. which provides complete logistics solutions for shippers of all sizes for Domestic and International, Canada and Mexico. the gas station, or receive an overnight package, you are coming in contact with the world of freight. This interaction will further grow in our fast-paced, digital society where we use our cell phone or computer to shop online and fully expect to receive the product in a few days, if not the next. Few people understand how goods move from farm to market or from manufacturer to store or even from an internet seller to you directly. This logistics process occurs seamlessly behind the scenes each day. To support the needs of our society takes millions of men and women in the freight industry who work tirelessly 24/7, 365 days a year. 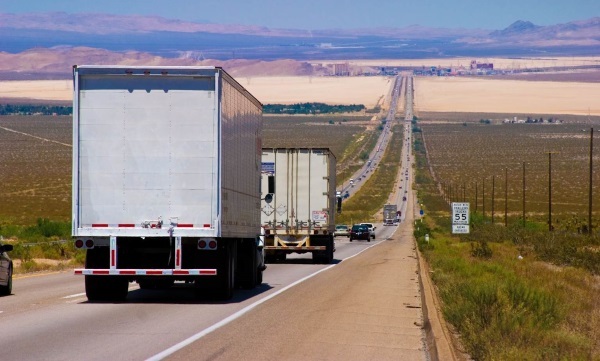 The freight industry is the “glue” that holds our economy together and if there is even a short disruption it can spell problems for businesses, manufacturers, farmers, and you. For example, hospitals need replenishment of medical supplies within 24 hours, grocery stores require daily deliveries, and busy gas stations have a mere 48 hour supply of fuel. If, for some reason, trucks are delayed for several days, serious shortages may occur. Has your business considered membership in the Ports-to-Plains Alliance? See our latest ad that appeared in American City & County magazine. 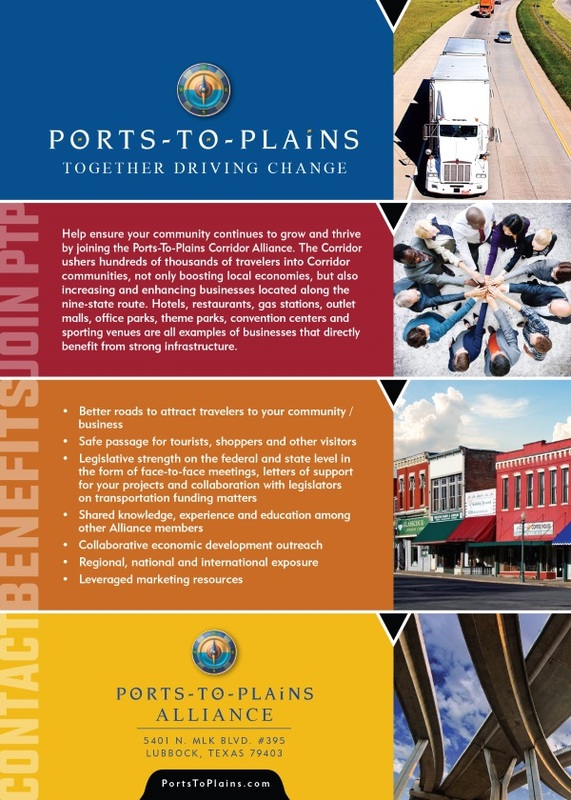 If you are interested in supporting the Ports-to-Plains Alliance and its advocacy effort, consider joining as a business member. Just click here or contact Buzz David at buzz.david@portstoplains.com. Let’s be real here: the current oil bust is not the result of any slowdown in demand, but of a massive increase of supply created by one country, Saudi Arabia, in its effort to increase its market share by killing off the U.S. domestic shale industry. We now see the Saudis backing off from that failing strategy as the Kingdom appears to have tired of burning through its sovereign wealth in this Quixotic quest. Doug Griffiths has the same roots as the majority of the Ports-to-Plains Alliance communities. He comes from rural communities that have a vision for success but continue to look for the keys to that success. Doug spent almost 13 years as a Member of the Legislative Assembly in Alberta, representing constituency of Battle River - Wainwright. He also served as the Minister of Municipal Affairs. The Ports-to-Plains Alliance will be adding a short video on each of the Ways over the next few months. These short videos bring these ideas to life. Whether you are an elected official, a business owner, a volunteer or a citizen-at-large, this information will provide you with easy and direct strategies to help your community, while also showing you the prevalent attitudes that sabotage success and what to do to overcome those attitudes. It doesn’t matter if you want to make improvements in community healthcare, education, infrastructure, economic development, youth or seniors quality of life, or how welcoming your community is to outsiders this book is for you. This is for those concerned about the future of their community and are looking for answers on how to find success.